As you may know, we are working on a foundational Bible class, which we hope to film and release this year. We believe that this project is inspired by the Lord, and that it will meet a need for many people who hunger and thirst for spiritual truth. People need an accurate, systematic, thorough, dynamic, entertaining, and inspiring presentation of the Word of God, and we are doing one because we know of nothing else that does the job as we believe it should. Between 1967 and 1987, many current readers of FRUIT OF D’VINE then came from every conceivable spiritual background and sat through a historically unparalleled 36-hour Bible class that literally changed their lives. Having built upon that biblical foundation ever since, we can now both condense that presentation and significantly improve upon it. The degree of its impact will depend upon how enthusiastically those whom it touches share it with others. If not now, when? If not we, who? Where on earth can people today go to “come unto a thoroughly applied knowledge” (1 Tim. 2:4) of biblical truth? Is it not THE WORD OF GOD that answers that question? Yes, because it gives us an unwavering standard by which to judge who is teaching truth and who is teaching error. It is also the yardstick by which to measure how godly their behavior is. The Word shows us how biblically ignorant the average Christian is about it (just like we were) and how much of its truth we have been privileged to hear. Personally, I will not allow the erroneous label of “you think you’re all right and everyone else is all wrong” (which is not at all what I think) to dull my bold proclamation that what I know is what The Word says, and that I can prove it to anyone willing to listen. In the last few years, I’ve become even more aware of the urgency of the times. I picture myself, and all those who stand with TLTF in our effort to make known the written Word and the living Word, running a race in our lane, with Satan running in the lane next to us. Here we are, a seemingly miniscule handful of brethren trying to put together and disseminate a Bible class containing Truth that will revolutionize those who embrace it. And there Satan is running along beside us, with his gargantuan tentacles reaching into every corner of the world and wreaking havoc on people in every way he can. The Bible is replete with examples of one person choosing to believe God and thus making a big difference for a lot of people. In the above scenario of our race against the Devil and those working for him here’s the good news: THEY ARE FIGHTING AGAINST THE ALMIGHTY GOD, and WE ARE WORKING WITH THE ALMIGHTY GOD. I think that gives us a chance to make a difference in the world. The Barna Group, which began in 1984, is a Christian visionary research and resource company widely considered to be the leading research organization focused on the intersection of Christian faith and culture. The results of its latest annual end-of-the-year (2010) survey are stunning, and, I believe, point up the crying need for what we in The Living Truth Fellowship have to offer not only Christendom, but also mankind. [1. The Christian Church is becoming less theologically literate. [2. Christians are becoming more ingrown and less outreach-oriented. Why would a Christian be reticent about living and sharing his faith in Jesus Christ? 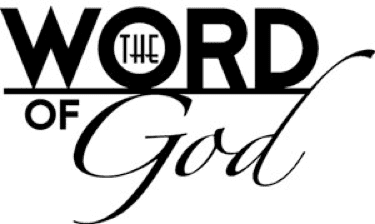 Could it be because neither the Word nor the Lord is REAL to him? And could that be because the doctrine presented to most Christians is illogical, self-contradictory, confusing, bland, or unmotivating? Hello-o-o?! ERROR DOES NOT WORK! And that takes us to the next point. [3. Growing numbers of people are less interested in spiritual principles and more desirous of learning pragmatic [practical] solutions for life. As if “spiritual principles” are not practically applicable! Please. This attitude shows that Christians are not being taught the truth of the Word, which is all about how to live, that is, how to be and what to do in any situation. People cannot be living truth unless they first hear truth. [4. Among Christians, interest in participating in community action is escalating. [5. The postmodern insistence on tolerance is winning over the Christian Church. Look, we are running out of time. Let’s make “Hey!” (as in, “Hey you, come to Christ!”) while the Son shines. The Devil is not shy about loudly and relentlessly proclaiming his lies, and we should be no less bold in declaring what we know to be God’s truth. People’s lives depend on it. We dare not mistake “tolerance” for spiritual blindness, an inordinate desire to have man’s favor, or cowardice. [6. The influence of Christianity on culture and individual lives is largely invisible. Culture is shaped by people, and people are influenced by other people, either for good or for bad. I agree that the primary obstacle is “not the substance of the principles on which Christianity is based.” The problem is that those truths are not being taught. It is not that we need “new ways of…exposing the heart and soul of the Christian faith.” What we need to do is teach the heart and soul of Christianity, and that is JESUS CHRIST, the living truth, who is not a “God-man” or an “all God and all man” being with whom we cannot possibly identify, but a human being who perfectly trusted the same heavenly Father he encourages you and me to trust. Only the Lord Jesus can really touch your heart to the degree that your love for him makes you a “slave” to him, and one who can articulate his faith such that others can believe. Let’s truth it!